Not only are these heuristics not adapted to the current environment, their effects are amplified by a second set of cognitive biases usually activated in a period of rapid change. For example, a set of heuristics called availability heuristics tend to focus a decision maker’s attention to the “stuff” that is easiest to comprehend, what’s “available” at the time the decision needs to be made, the last thing he or she may have been working on, or, in other words, the “cognitively obvious”. Availability heuristics can work well when the environment is stable. After all, if things don’t change too quickly, the focus of a decision maker’s attention today should probably be similar to yesterday’s focus of attention. But in a rapidly changing environment, things that mattered a lot yesterday may have to be relegated to the background for today’s decisions. A concrete example is the disproportionate amount of attention dedicated (and rightly so) to the force deployed and the multiple zones of US military presence, which produces, in a period of declining budget, a similar disproportionate focus on the out force when looking for cuts, while it represents only a fraction of the total budget. Availability The most obvious cuts are the closest that come to mind. The recency effect is one of many avatars of availability: decisions makers are more influenced by the latest stimuli than by the most relevant ones. Anchoring Although every decision maker is aware of the new environment, all references points are anchored to the previous environment, driving decisions to be made by comparison to the past as opposed to comparison to possible futures. Framing When the same question is framed two different ways, people choose differently, because each framing makes different options more salient. Because it has become the default, a rising-budget frame is more likely to be used to present a range of options, leading decision makers to inadequate choices. Belief Perseverance Decisions makers have come to believe certain principles so strongly that, even if they “know” they no longer apply, decisions are formed as if they still applied. Status Quo Heuristic Decision makers have a strong bias toward choices that maintain the status quo. The pull of the status quo is even stronger when there are multiple choices. Choosing amongst too many options creates uncertainty and fear, and it is much easier to stay with the status quo. This effect is reinforced in a rapidly changing environment, at a time when giving up the status quo is even more important. Confirmation Bias Decision makers tend to look for facts and data that support or reinforce their assumptions. Self-Confidence When decision makers are certain they have found the right solution, they stop looking for alternatives. Having been “right” in the past in a different environment is a recipe for major self-confidence-based errors. Optimism Decision makers tend to overestimate the likelihood of positive events and underestimate likelihood of negative events (“it won’t happen to me”). In a changing environment, this bias amplifies the effects of other heuristics, as good outcomes in the past will reinforce the perception that the same decisions will lead to the same good outcomes. Sunk Cost An optimistic bias combined with the self-serving heuristic and personal responsibility are the drivers of the sunk-cost heuristic, whereby decision makers feel responsible for past investments whose costs cannot be recovered and assign such investments high probabilities of success based on confirmatory evidence. 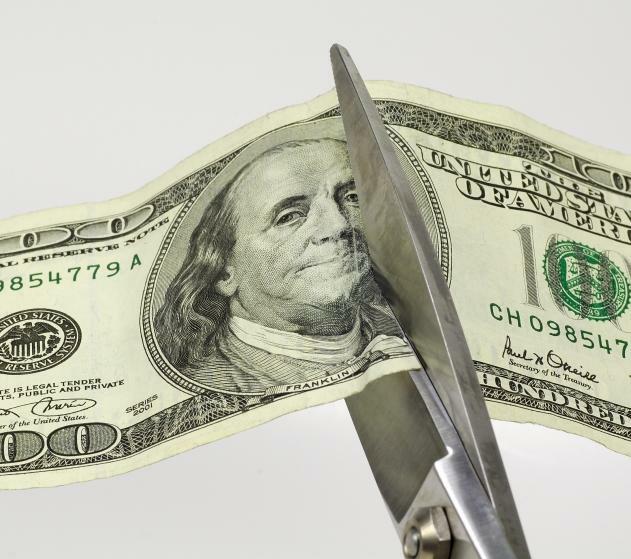 The sunk-cost heuristic leads decision makers to continue to invest in programs that would not make the cut based on forward-looking estimates (“throwing good money after bad”). Loss Aversion Decision makers prefer a sure small gain over risky larger gain, and prefer a risky larger loss over a sure small loss. This heuristic, when combined with an inadequate assessment of a situation due to other biases, can produce poor decisions. Hyperbolic Discounting Decisions makers tend to make choices today that their future self would prefer not to make, despite using the same reasoning, because they heavily discount the future consequences of their decisions. This leads to “knee-jerk” decisions that attempt to address problems in a way that maximizes (hyper-) short term rewards and effects, with little or no attention paid to longer term effects. Group Biases When decisions are made in, or influenced by, groups, social heuristics tend to produce a conformity effect. A group of decision makers who all have the same experience is going to have a hard time escaping their shared mental framework. Identifying the nature, scope, frequency and intensity of the budgetary decision heuristics is crucially important to the implementation of mitigating measures. Once these have been identified, cognitive aids and decision frameworks, methods and processes can be designed to correct for the systematic biases resulting from decision heuristics. For example, default settings, red teaming and the reframing of budgetary decisions can dramatically reduce biases. Designing and running behavioral economics experiments and adaptive survey-style exercises to assess, both qualitatively and quantitatively, the heuristics at work in a variety of decisions. Metrics can be derived from quantifying the degree to which heuristics are used. Multiple experiments should be carried out over time to measure any changes. Simulating the impact of the identified heuristics on budgetary decisions by building artificial agents endowed with the heuristics. The first stage identifies heuristics, while the second stage identifies heuristics with the most impact. Metrics can be derived in the simulation from measuring decision performance relative to near-optimal outcomes, which can be calculated. Heuristics having the most impact are targets for interventions. If they can be mitigated, they constitute high return-on-investment, leverage points toward dramatically improved decisions in a sharply declining budget. Decision-support frameworks and tools, both at the individual level and at the group level, exist to help correct the biases inherent in human decision making. The table below offers a number of examples of mitigation mechanisms for each of the biases cited earlier. Availability Consider alternative hypotheses using methods from intelligence analysis. Anchoring New default settings will create new anchors. Framing Create a process for reframing the context of a decision from the perspective of core capabilities. Belief Perseverance Red teaming is a good way to reduce false beliefs. Status Quo Heuristic New default settings will force decision makers to move out of their status quo comfort zone. Confirmation Bias Red teaming is a good way to identify flawed assumptions and poor evidence. Self-Confidence Walking through the consequences of a wrong decision thought to be the right one helps decision makers question their assumptions. Optimism Walking through scenarios where a seemingly good idea can go wrong can rebalance the perspective of decision makers. Sunk Cost Personnel rotation helps ensure that decisions to discontinue past projects are not made by those who were involved in the funding of such projects. Loss Aversion Methods exist for extracting risk and loss aversion profiles from decision makers. Profiles serve as a modulation function when aggregating decisions from multiple individuals. Hyperbolic Discounting Use methods that make the perception future consequences more tangible and immediate, such as “reward substitution”. Group Biases Numerous approaches exist for reducing group biases. In a strongly hierarchical organization, decoupling roles from ranks is difficult. Methods for increasing the diversity of perspectives (using gender, ethnicity and culture, background, etc.) in a group and for embracing differences can have a dramatic impact.